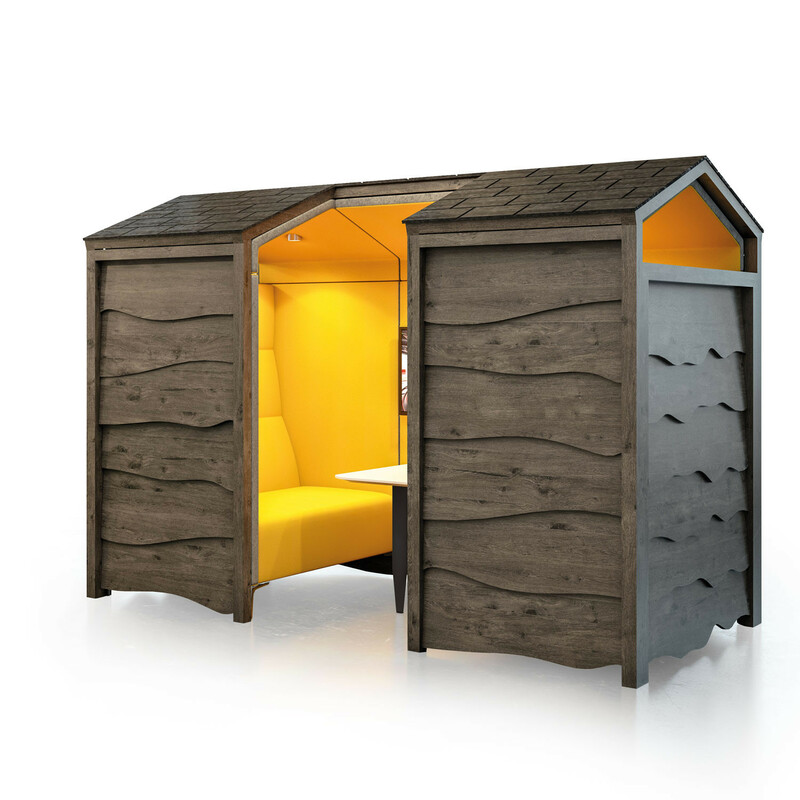 Huddle Rustic Shed is a four-seater informal collaborative furniture solution that provides acoustic shelter from surrounding interior office noise. 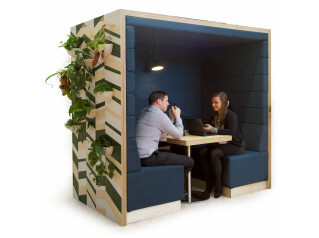 The occupants of the Huddle Shed are provided with a comfortable partly enclosed meeting unit which shelters them visually minimising distractions. 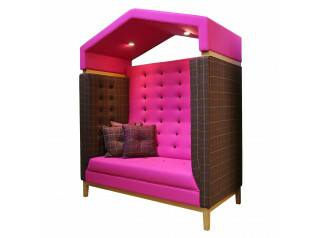 The collaborative shed can be specified with a screen bracket and integrated power and data making it the perfect space for presentations and sales meetings. 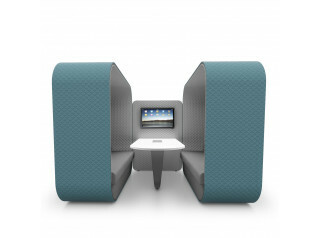 View more furniture from Frovi. You are requesting a price for the "Huddle Rustic Shed"
To create a new project and add "Huddle Rustic Shed" to it please click the button below. To add "Huddle Rustic Shed" to an existing project please select below.